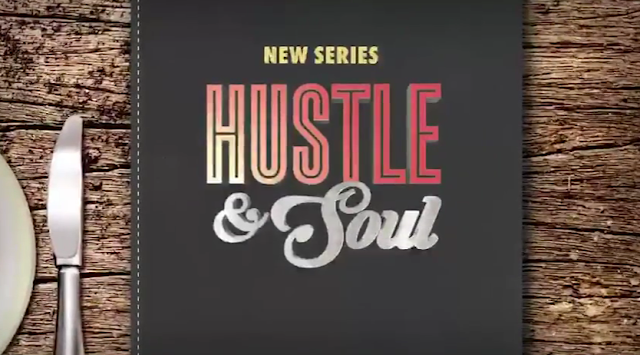 Hustle & Soul, WEtv's newest reality series premiering March 16th; has all the ingredients for some steamy prime-time tea. 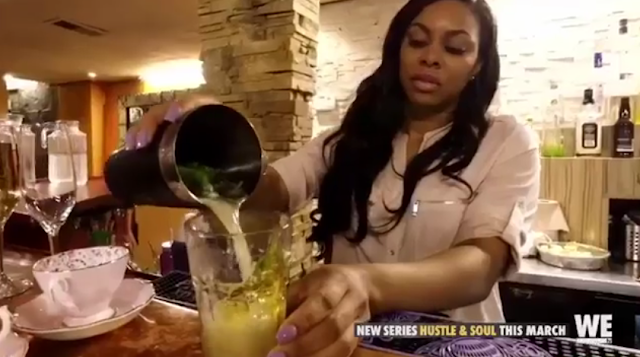 Similar to Harlem's Black Ink Crew, Hustle & Soul takes place at Brooklyn's The Pink Tea Cup soul food restaurant and what looks like a homely mom and pops business on the outside; is a drama filled novela on the inside. As you'll see in the clip below, Lawrence Page the Chef and Owner of The Pink Tea Cup; is caught in a love triangle with Ana Maverick, the mother of his child, and Candice Roach - the Bartender! Luckily my team and I were asked to style Candice and invited by Big Fish Entertainment to the set for a few scenes so we got some inside scoop and boy does it go down! ... But I haven't seen a cast this entertaining in awhile so pull up a chair... and get your Twitter fingers ready.... Hustle & Soul is serving a full course meal. If you would like to partner or collaborate with our team at Urban Fashion Sense for fashion styling, public relations, sponsorship or event production contact us at PITCHFASH@GMAIL.COM.